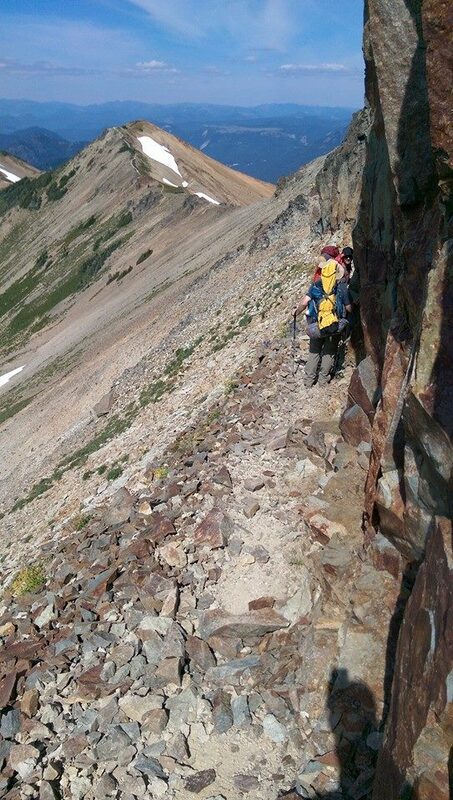 For the past week, my husband has been on what we call “the dude trip” where he flies across the country to Washington state for some epic hiking and camping with old friends. It’s something he looks forward to and actually, something I look forward to because he gets so much out of it. I love seeing him so happy, even if I could do without the cliffs of dispair. Since we went camping in Boone last weekend, we didn’t do a whole lot of your typical household chores. Jerry had planned on mowing before leaving town, but it just didn’t happen so I decided to make sure the lawn was done by the time he got back as a fun surprise. No one wants to come back from a fun trip to a list of chores, right? We have a pretty big yard and I thought about doing it myself, but between working during the day and being the only adult with the kids in the afternoons/evening, I decided to look into outsourcing. Truth is, we’ve never had anyone do our lawn before. We’ve talked about it but it’s one of those expenses that definitely seems more like a luxury at this stage of life, so we (and by we I mean Jerry) do it ourselves. I talked to some friends and learned about a game-changing app. And you guys, I swear this post is not even a little bit sponsored. I am just so excited that I had to share! I decided to order services through Plowz & Mowz, which some accurately describe as “the Uber for yard work.” And it’s true. You put in your address and yard size, the type of service you want (you can choose from mowing, leaf removal, and snow plowing) and a local team will be assigned to your job. As in, you never actually have to talk to anyone. At. All. In fact, you don’t even have to be home when they come! It’s just, sortof magical. I ordered through the app on Friday and by Sunday morning, a team of 3 people showed up and did our entire yard including edging and leaf blowing in about 40 minutes. I am certain I just stared out the window with my mouth hanging open. 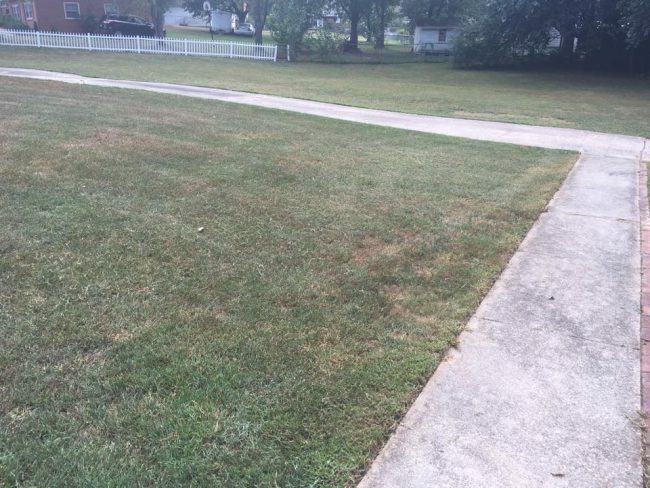 Our yard is 2/3 acre and with a $10 referral discount, I only paid $43. Worth every penny. I don’t know that we will use them regularly for mowing, but I love the idea of a seasonal “haircut” and I definitely think we’ll have them do leaf removal this fall. It’s not likely that we will need plowing but you never know! Like I said, this is a non-sponsored post, but I do have a referral code if you want to give the service a try! If you use my code, we both get $10 off so if you ask me, it’s a win-win. When you sign up, you’ll get your own code and it goes on and on. 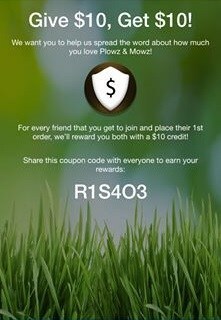 When you check out, make sure to add my code R1S4O3 in the coupon field and you’ll instantly get $10 off. I’m telling you, this is a game changer. Check,please. Now go forth and let someone else do the yardwork!